What does FVC membership get me? For a veteran or an active-duty military service member, FVC membership makes you eligible for all of our programs: the Farmer Veteran Coalition Farming Fellowship, Homegrown by Heroes, and attendance at workshops,retreats, and webinars. We continually negotiate with various farming companies to provide additional benefits and discounts, on farm supplies from major national and local suppliers. You will also be a member of the FVC community, connecting you with other veterans who may be pursuing a career in agriculture similar to your own. farming. There is no cost to join – simply complete a short questionnaire about your military and farming background. Join today. I contacted FVC before and no one could help me. How can I get answers? We urge you to try again. For years, demand for our services has exceeded our staff’s capacity, but we have grown considerably, developed more projects and partnerships to benefit our members, and our staff continues to grow in numbers and gain experience to assist with the various questions that the veterans have. Our client service team works together to find the best solutions to help each member. What about employment in agriculture? FVC equally supports self-employment and employment in agriculture. Most American farmers combine on-farm (self-employment) and off-farm (employment) income. This can mean one spouse works on the farm, and the other off the farm, working full-time outside of farming, and farming after work and on the weekends, working in the off-season and farming during the busy summer months, or supplementing a disability check with a modest farm income. In many cases the off-farm employment can help bring the type of training that will help someone choosing to pursue a farm business of their own later on. All parts of American agriculture are suffering from a diminishing work force and many companies offer great opportunities for advancement and training. Many are looking for men and women to go into farm management, precision agriculture, or technical jobs that give all the excitement and lifestyle of farming without the financial risk. Does Farmer Veteran Coalition only support organic farming? No. FVC believes that each veteran should pursue the agricultural path of their choice. We hope to see veterans in every sector of the farming industry, both small and large scale, growing every type of crop with both traditional and less traditional methods. 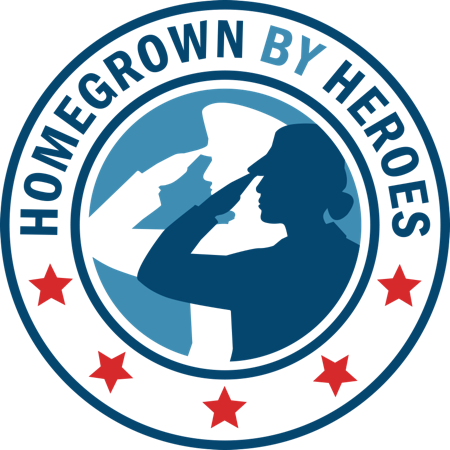 FVC recognizes that many farmer veterans, like any new farmers today, are looking for ways to grow that honor the things they care about and differentiates them in the marketplace. FVC helps veterans find support for entering some of these market niches. I respect and appreciate the help that FVC provides for so many, and I want to be part of the help provided. How can I start a chapter? Chapter development is a substantial initiative toward the national growth of Farmer Veteran Coalition. The goals of our state chapters are to increase membership and participation in the farmer veteran movement, to provide a means of grass-roots support for farmer veterans within each chapter’s territory, and to identify and encourage participation with eligible veterans for the many programs and services that Farmer Veteran Collation provides. If you are interested in learning more about chapter development please take a moment to fill out our Chapter Development Request form. We know that the best advice comes from those who have made the journey. That’s why one of our top recommendations for beginning farmer veterans is to connect with a mentor or peer advisor. We can help you find one. If you would like to apply for a mentor, or have a quick question for our peer advisors, request more information here. In what states does Farmer Veteran Coalition help veterans pursuing careers in agriculture? FVC has members in and helps veterans from all 50 United States and all territories. Do you offer full-time education programs for those seeking a career in agriculture? Farmer Veteran Coalition does not provide funding for full-time education. Our members have the option to use the resources that we do provide to help them find programs to best fit their needs. In some instances, FVC can subsidize the cost for some programs. Farmer Veteran Coalition does provide limited full-time apprenticeship opportunities in California. Request more information. What programs do you offer to veterans interested in transitioning into agriculture? What financing is available to me if I choose to start farming? Cost-share Programs are available to implement conservation practices on working lands that can help to pay for things such as pasture improvements and wildlife plantings. If you’re interested in a cost-share program, contact your local Natural Resource Conservation Service office about developing a conservation plan and then applying for their EQIP program. Some USDA programs may give preference to veterans. Low Interest Loans are available through Farm Service Agency. USDA has numerous loan programs to help farmer veterans. Call your USDA advisor for more information.